We perform repairs both during the warranty period and after. -cleaning and lubrication of fittings. When dismantling the old windows there takes place partial destruction of slopes (the part of the wall joined to the window from inside). Therefore, after the installation of new windows it is necessary to restore slopes to give a complete form to the window opening. At your request, our craftsmen can perform such works with drywall or plaster. It is important to know! 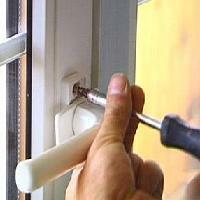 Finishing of slopes should be performed not earlier than the day after the installation of windows. Finishing includes the installation of drywall, plaster, and painting white.